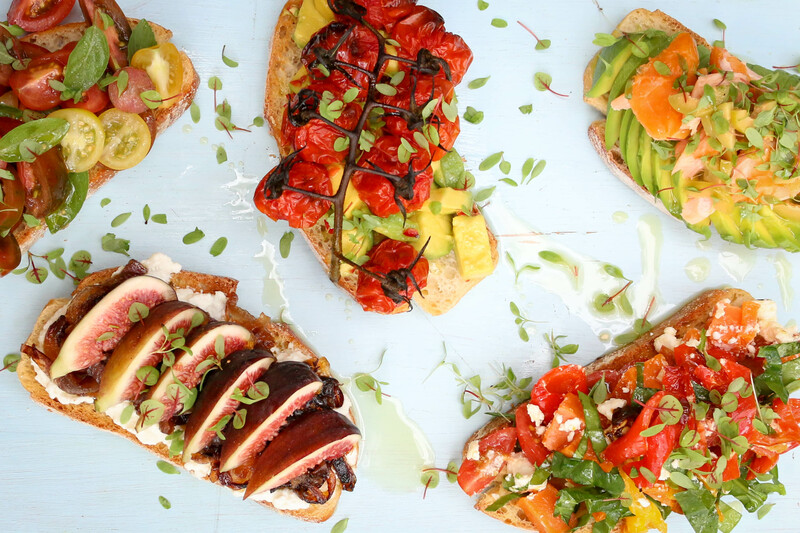 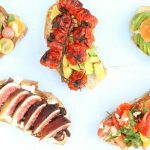 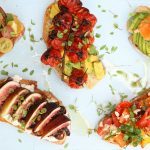 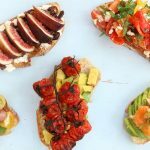 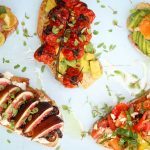 Bruschetta is a fantastic house party food. 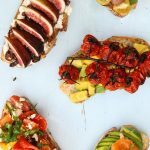 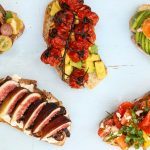 Top toasted sourdough with any number of toppings to please a range of guests with differing tastebuds. 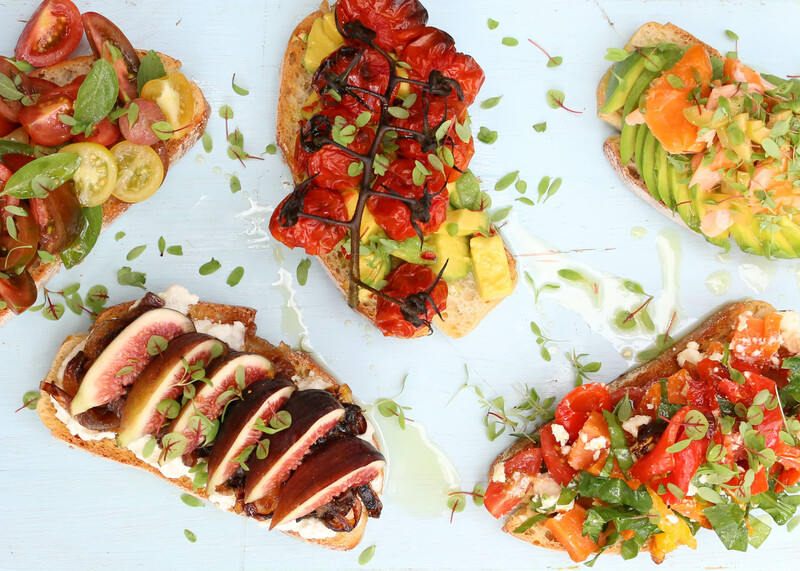 Here’s what we threw together. 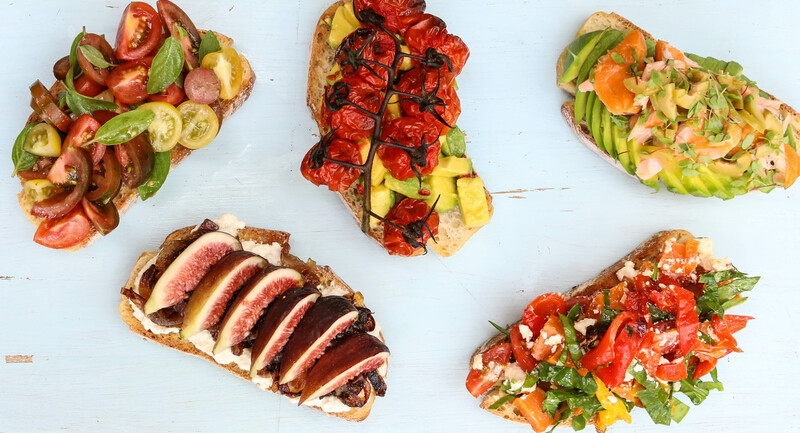 Ricotta, fig and caramelised onion – spread ricotta over the sourdough, top with caramelised onion and slices of fresh fig. 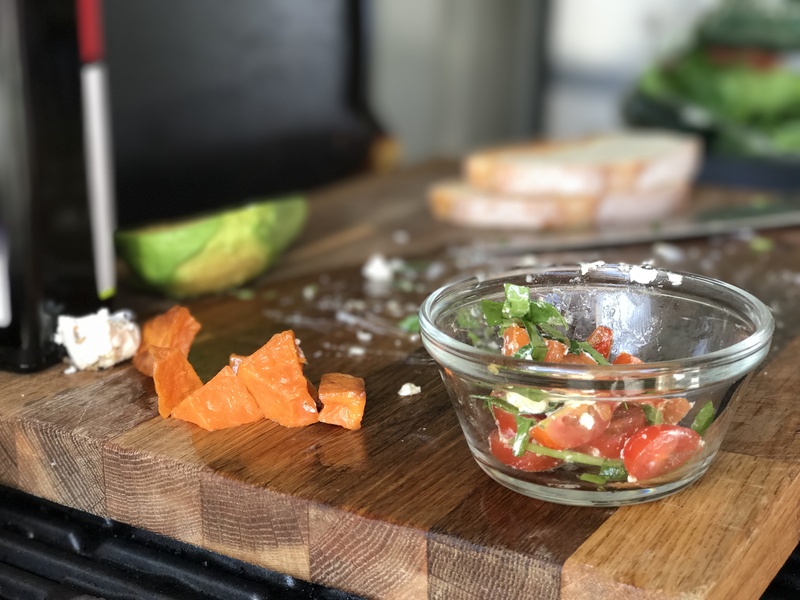 Roasted vegetable and feta – chop up leftover roasted vegetables (sweet potato and capsicum), roughly chop some basil and crumble up some feta. 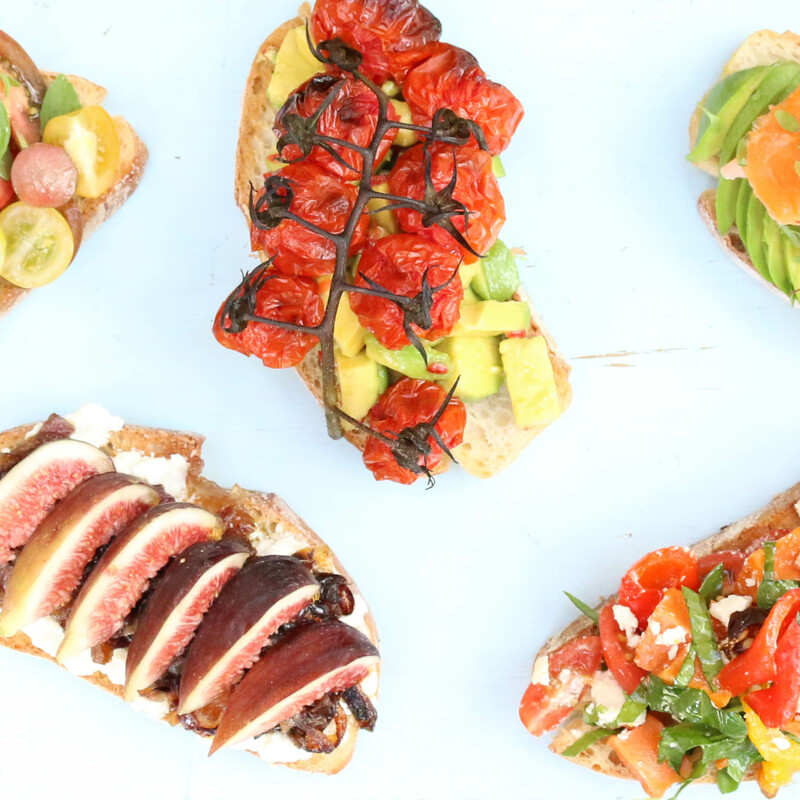 Mix it all together and pile on top of the sourdough. 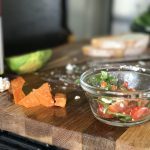 Roasted tomato avocado and chilli – dice avocado and chilli and mix with some lime juice. 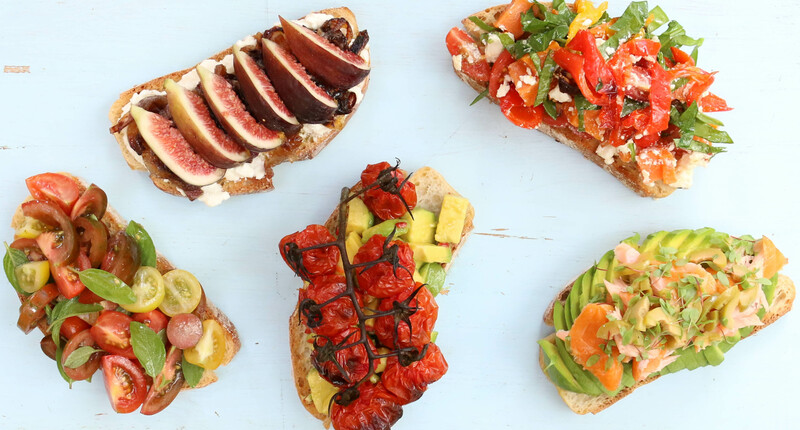 Pile the mix onto the sourdough and top with some roasted tomatoes. 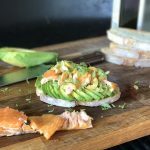 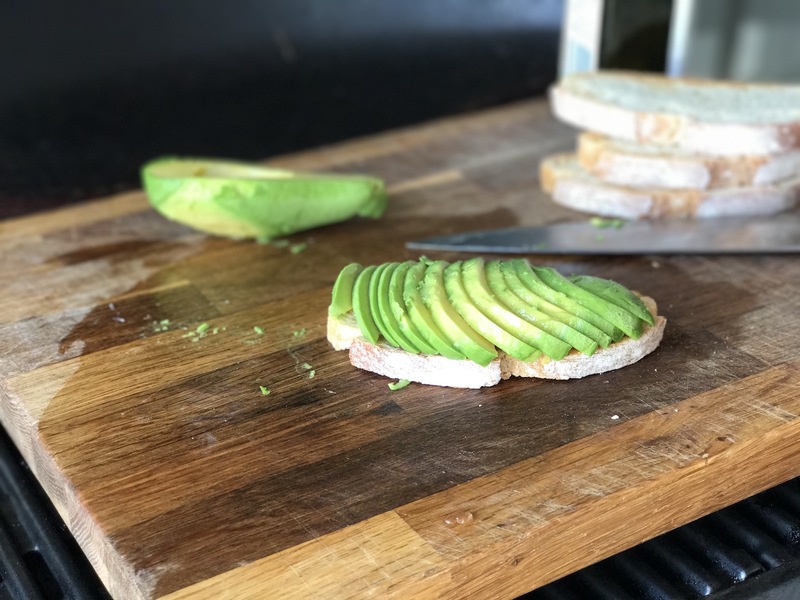 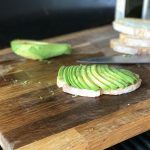 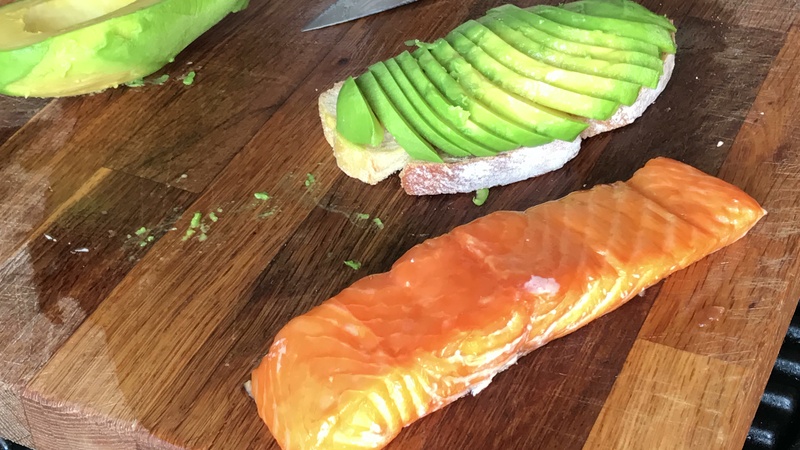 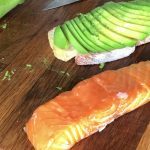 Smoked salmon and avocado – simple and delicious. 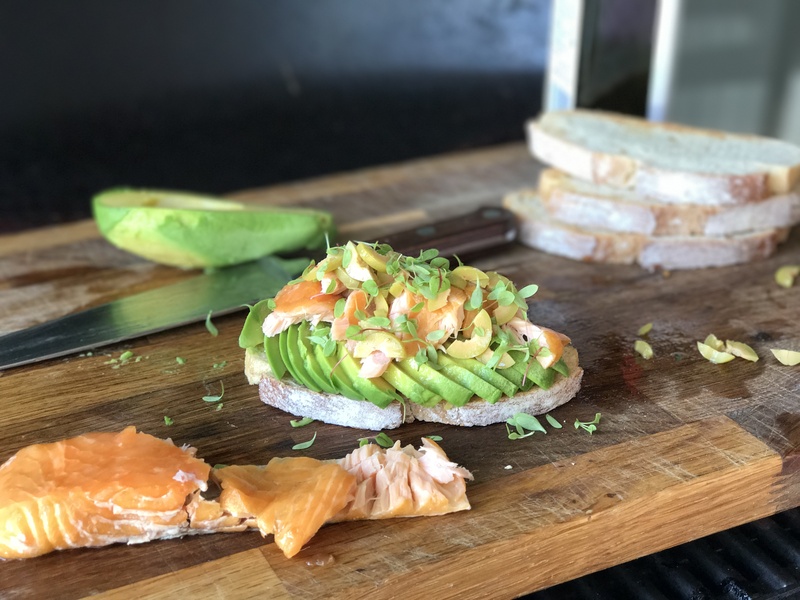 Layer avocado on the sourdough and top with a generous mound of smoked salmon or trout. 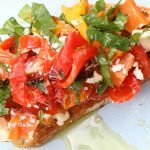 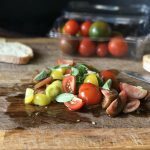 Traditional tomato and basil – this is made all the better with just a tiny bit of crushed raw garlic, a generous slurp of olive oil and a good pinch of salt.